Shopping for furniture can be really very exhaustive. 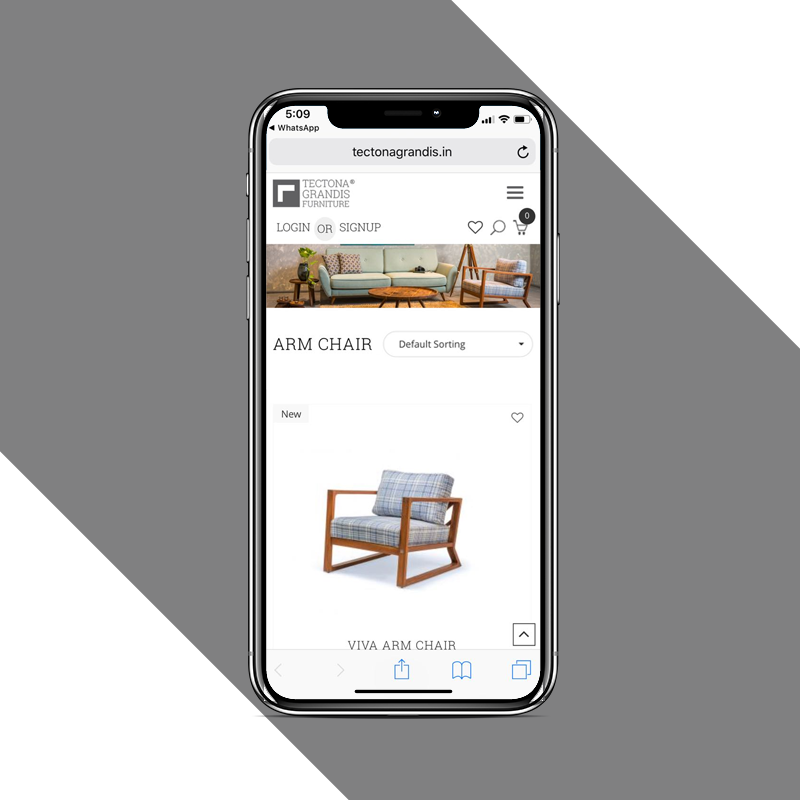 Luckily, we have a brand like Tectona Tectona Grandis Furniture which manufactures 100% teak wood furniture and also offers bespoke furniture designs for the customers (on made to order basis). 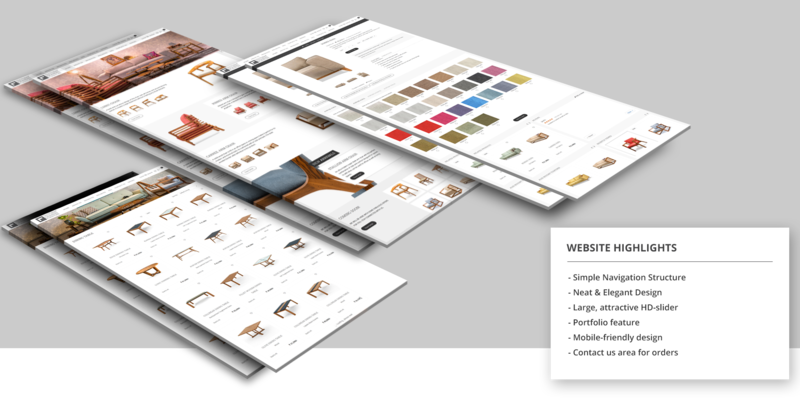 Going against the norms of standard client brief, founder of the company Mr. Dhruvakant Amin briefed us in just one single sentence i,e my website should look as classy and elegant as my furniture. We got the gist of it. To have a central place where he can receive orders. We wanted to avoid unnecessary noise and let the design speak for itself, keep the user in control, and create a narrative language with assets. So navigation and layouts needed to be simple and intuitive for users across platforms-this was a tactical concern. 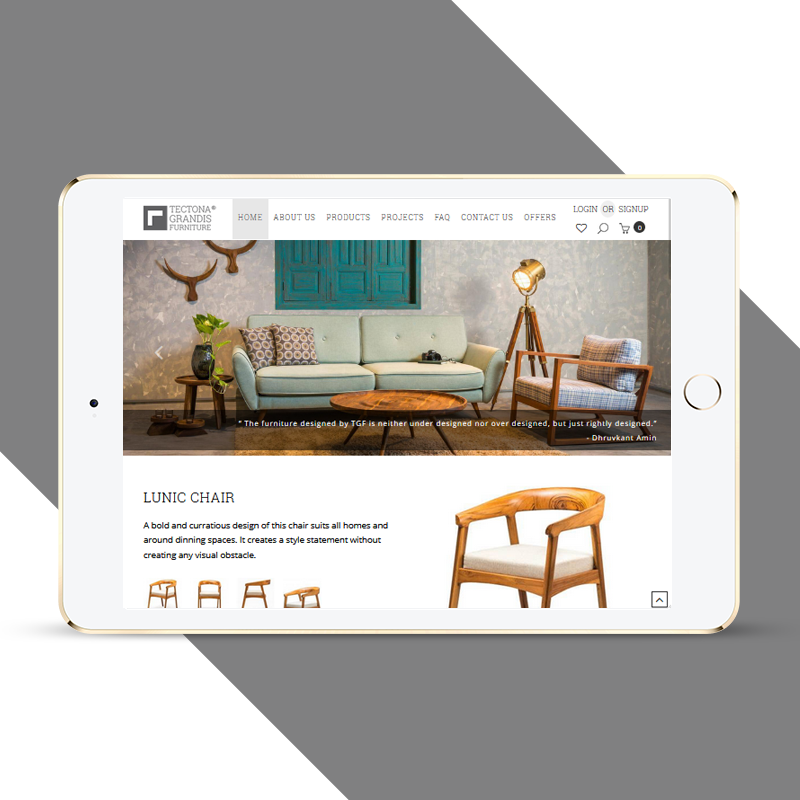 With a brand like Tectona Grandis Furniture, keeping a portfolio-rich design is the key to attract the right clientele. Showcasing right mix of products is very important, as it helps your website visitor engaged on your website and also eases customer decision making process. 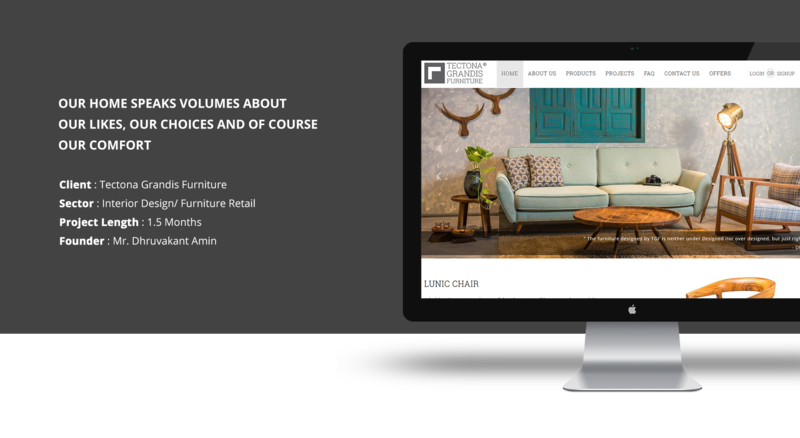 Tectona Grandis furniture was looking for strategies to modernize their marketing exercise and reach out to the relevant set of audiences leveraging the potential media channels. We assisted the brand identifying business development opportunities both within the busniess and in the market. Out of our experience and research, we suggested the client that social media offered potential. We started with regular facebook and instagram postings and ran advertising campaigns to measure initial success. This strategy was then optimized with more budgets for campaigns. As a result of the suggested advertising campaign that produced measurable gains for the client, Dezine Brainz now retains TGF to develop, implement and continuously improve a range of innovative and cost-effective lead generation, product management and branding strategies.